Mosser Glass Heather Bloom Carnival 2.75" Mini CHRISTMAS TREE Figurine USA Made! 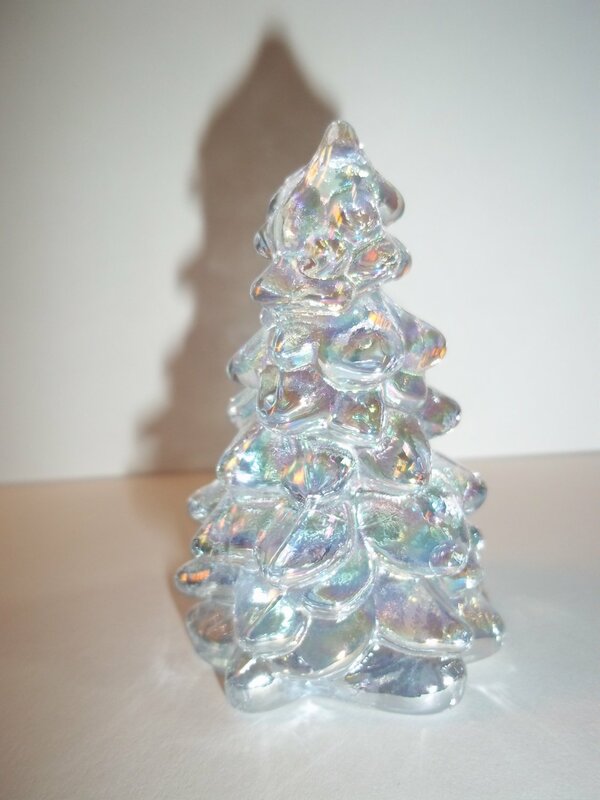 Offered here is a beautiful Christmas tree figurine made of heather bloom carnival glass! This is clear glass with a slight blue hue to it and an amazing sparkling carnival finish! It was made by the Mosser Glass Company which is a small family run business making quality art glass in Cambridge, Ohio USA! It would make a lovely part of your Christmas decor or a great gift! It measures approximately 2.75" tall and is solid glass. Please see our other listings for more great art glass and items for pets and pet lovers! We do combine shipping. Free delivery confirmation and tracking are provided for all shipments within the United States as well as International shipments using Priority Mail International. Customs charges or duty taxes are the responsibility of the International buyer. Please feel free to contact us with any questions or concerns you may have. Thank you!